Shouldered by industrial buildings and a golf course, Spit Beach’s location is certainly unique. 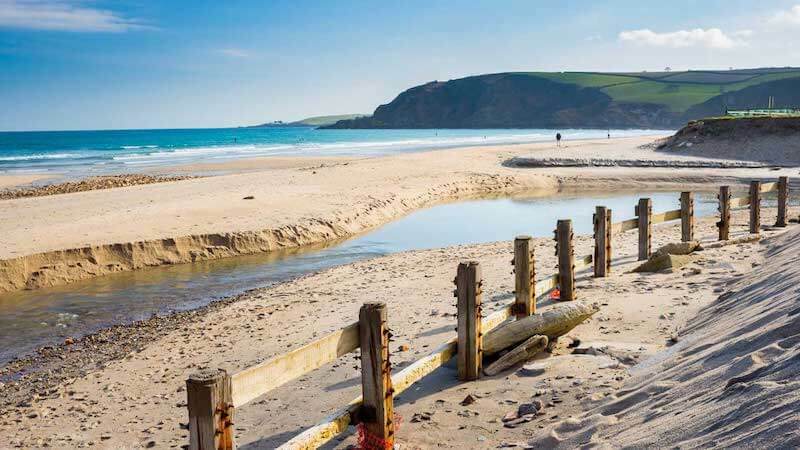 The small, south facing beach can be accessed by various points on the South West Coast Path, but the most common route is to park in the free car park off Par Moor road and follow the path that leads straight to the beach. Off the beaten track for visitors, Spit Beach remains a ‘locals beach’ and is popular with dog walkers all year around. Although perhaps it doesn’t have the most picturesque approach to the beach, it remains a great little spot to quietly enjoy the tranquil sound of the water. There are no other facilities here and wheelchair access will be difficult due to a footbridge and a short, but steep, path down to the sand.